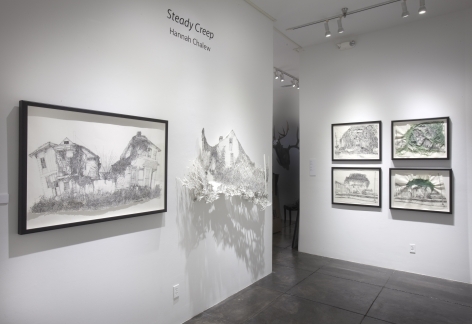 JONATHAN FERRARA GALLERY is proud to announce Steady Creep, a Middle Gallery exhibition featuring pen and ink drawings, cut paper constructions, sculpture and sewn drawings by New Orleans artist HANNAH CHALEW. 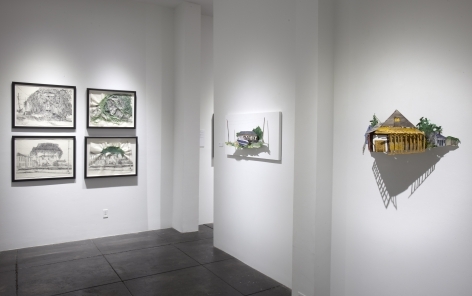 This is Chalew’s first solo exhibition at Jonathan Ferrara Gallery. 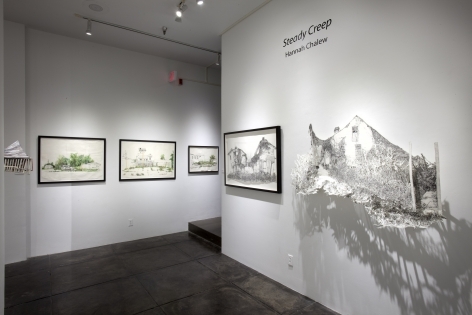 Steady Creep will be on view February 1st to March 10th, 2010. 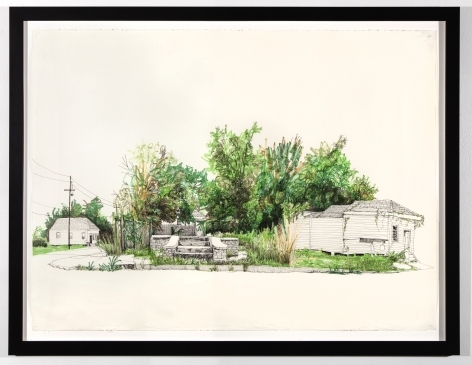 HANNAH CHALEW is a New Orleans artist raised in the city and returned home after graduating from Brandeis University with a BFA. Chalew is one of the founders of T-Lot, a studio and installation space for emerging artists in the St. Claude Arts District. 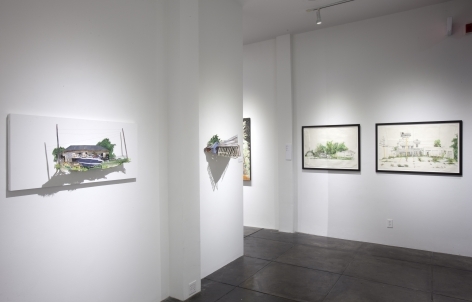 She works from direct observation to bring the experience of place to the viewer. 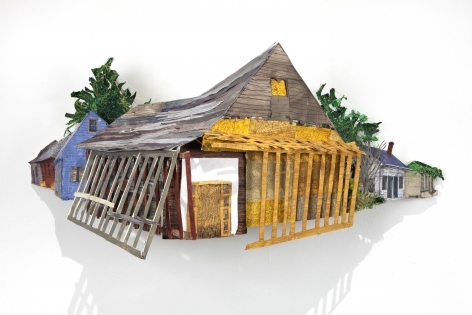 Her work examines the post-Katrina landscape emptied of human life. These spaces speak for their inhabitants as a statement about the inextricable link between culture and nature, our past and inevitably our future. Her work has been featured in Satellite Magazine, Designtripper, NOLA Defender, and The Times-Picayune. Hannah has exhibited work at the Acadiana Center for the Arts, T-Lot and other venues. She was 2010 No Dead Artists Jury Winner as well. 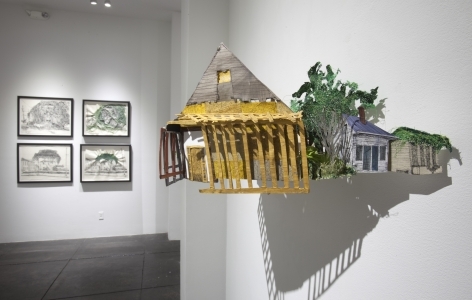 Her work was recently on view in the NOLANOW exhibition, curated by Amy Mackie, at the Contemporary Arts Center, New Orleans.